Poptropica Universe Episode 14 – Temple Run! Why am I posting the Poptropica Universe episode? 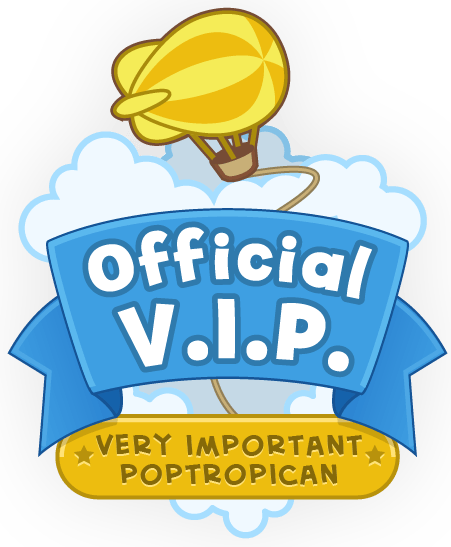 Well, if you read this article, you’ll see I’m a new Poptropica Universe author, along with TS and FF! 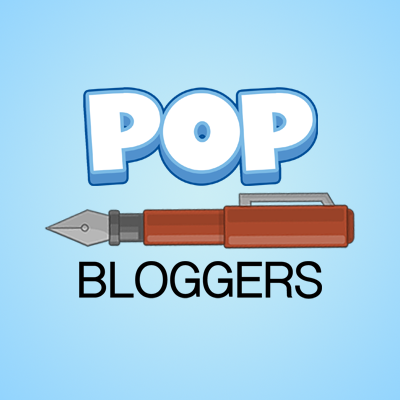 Make sure to read the latest episodes of PopU on the Poptropica Universe page. I drew my sword and rushed towards Fearless Owl. It didn’t occur to me at the time that I was about to try to do exactly what I just said was wrong, and I proceeded to try to give Fearless Owl a haircut. Suddenly the ground flew up to my face and my face planted into the ground. Fearless Owl had tripped me. As I tried to get up I screamed. The pain from my knee bolted across my body. I couldn’t take it, and I fell back over. And for a moment, as my friends rushed over to help me, I began to think that those words were true. No, they weren’t at all. Without good, what would planet Poptropica be? If we weren’t able to trust each other, then how would we have a working society? Sure, there are some bad people on Poptropica, like that Gretchen Grimlock, who I heard almost killed that Cuddly Lion fellow while he was trying to help Mr. Mews prove the existence of all cryptids. But the good in society always overcomes the bad, which is why our society works. Re-energized with this realization, I regained consciousness and jumped back to my feet. My knee was burning, but I didn’t care. “She’s alive!” Slippery Icicle shouted. “LOOK OUT!” I screamed. A laser flew inches in front of Silver Wolf and created a crater on the ground right next to her. Incredible Carrot had appeared out of nowhere and had fired that laser. She looked more than ready to fire many more. “Quick, let’s get out of here! We’re too weak!” Silver Wolf shouted. “You little rats aren’t going anywhere!” Fearless Owl shouted. Three guards suddenly appeared and tied us up. It is possible to untie your wrists and work your way around your body if your fingers are all tied together, but our captors were smart. They knew to tie the thumbs separately. Drat. Incredible Carrot smiled. “I’ll leave you alone to do the honors, Master,” she said as she pressed against a rock, revealing a hidden door. Just then, a soda bottle appeared and hit Fearless Owl on the head, knocking her out, cold. She fell over, revealing the soda bottle-wielding hero: Cheat Dude. “Cheat Dude!” shouted Spotted Dragon. “Incredible Carrot? Who?” Cheat Dude asked. No one answered, and we all sat still for a few minutes. The sudden sound of footsteps made me jump. Shoot. Incredible Carrot was coming. “What do we do?” I hissed as Cheat Dude finished untying the last of us. “Now’s our chance to get rid of Fearless Owl once and for all!” Spotted Dragon hissed back. “We can’t; Incredible Carrot’s after us!” Slippery Icicle replied. She took out a blue vial of liquid and poured it into the vial of green liquid, letting just a drop of liquid go through at a time. When each drop of blue liquid touched the green liquid, the green liquid sizzled and turned a bright yellow before calming down and turning green again. Spotted Dragon started to work a little faster, giving the green liquid less and less time to calm down before adding more blue liquid. Spotted Dragon started to work much faster. She was hardly giving the green liquid any time to calm down before adding in more blue liquid. With those words, the hidden door reopened and Incredible Carrot appeared. Spotted Dragon looked up at her before quickly dumping the rest of the blue liquid into the green liquid and throwing them all on top of Fearless Owl. The resulting boom which was the loudest sound I have heard in my life was accompanied with a small cloud of smoke which surrounded Fearless Owl. “NO ONE ATTACKS MY MASTER! !” Incredible Carrot screamed as she swooped over and prepared to punch Spotted Dragon. Spotted saw what was coming and rolled away, causing Incredible Carrot’s punch to miss and keep going. Unfortunately, it went straight into Cheat Dude, who was standing right behind her. He fell to the floor. “Cheat Dude!” we all shouted. “It’s… too… late. JUST… GO!” Cheat Dude said while coughing uncontrollably. Incredible Carrot flew down and threw him across the room. He hit the wall so hard that the ceiling composed of a ton of rocks collapsed on top of him. “We have to go before we end up like that!” screamed Silver Wolf. “What about Fearless Fox?” Slippery Icicle asked. “We have to go! Let’s go!” I shouted, as Incredible Carrot swooped down. She narrowly missed us and smashed into a wall. We ran out of the temple (a very difficult feat, considering we couldn’t see our hands in front of our faces) and hopped into the blimp. We flew off. “What do we do now?” Spotted Dragon asked. “We go back to base. Back to Lunar Colony!” I said. “But how do we know that-” Silver Wolf tried to say, but I interrupted her. “We are going,” I shouted, “back to Lunar Colony!” I could sense an argument coming on. “But, my dear, that is not wise.” someone said. “Who said that?” I demanded. I turned to face a strange green fairy. She looked like one of those mythical creatures from Twisted Thicket island.